If you wanted to start your blog, you might be confused to choose a blogging platform, which to choose and where to start form as there are many blogging sites like WordPress, Blogger, Tumblr, Weebly etc. Today here I would tell you top 6 benefits why you should start your blog on Google’s Blogger (Blogspot). Blogger is absolutely free to use. This is the top reason why most of the people preferred Blogger platform over self hosted WordPress platform. So, you forget about shortage of Bandwidth usage in future and monthly hosting cost for your blog. Many beautiful templates are available for free to use. Each blog or website Blogger is Google’s owned blogging platform since 2011 when Google acquired Blogger. It’s means a lot as you can easily integrate other Google’s services like Goolge Plus, Gmail, Google Webmaster Tools, Google Analytics, Adsense, Google Custom Search etc with it. 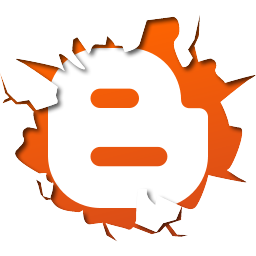 You can easily customize your Blogspot domain from xyzblog.blogspot.com to xyzblog.com in Blogger. For this you just need to purchase a domain name and customized it for free. For example you can see my site www.angraj.in but primarly this is www.angraj.blogspot.com. so easy to make your blog professional right?? Blogger will not charge you for customization and forwarding domains. Now a days Hacking is the biggest problem with the website owners. That might be a huge loss of valuable time a money if a website is hacked. And this always happened with many self hosted blog and websites as might not been taken care of Security plugins manually. But in case of Blogger you would not worry about your security plugins, that is taken care by Google and you hardly heard about a blogger site is hacked. Google’s Adsense is one of the most reliable method in the online marketing world to make money online and Blogger is inbuilt with Adsense program. Anytime you can switch your blog to your earning machine by following simple Adsense policies. If your are not an coding freak. Not an issue! The Blogger interface is very user friendly, you can still use Blogspot without having knowledge of programming or coding. This article will be helpful for the candidates who want to become bloggers. Will share this article to all the known bloggers.